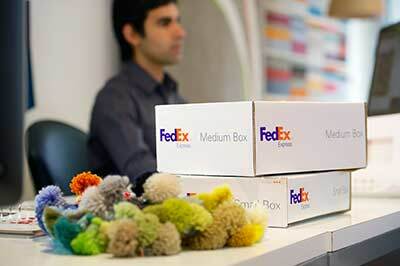 FedEx is one of the biggest and most widely used delivery companies in the world, serving thousands of businesses, big and small alike, every day. Over the past 40 years it has built a reputable as a trusted brand renowned for consistent and reliable transportation service by road and air. Pricing is variable and price lists are typically adjusted on an annual basis. Various factors can influence the eventual shipping rate and quote provided, such as list rates, surcharges and fees. Rates can be calculated via the rate calculator on the Fedex website, and results vary according to service and speed of delivery required. Express rates for 2014 are viewable here (as a pdf-file). Many businesses opt to use FedEx’s services because it provides them with thorough and up to date tracking information, allowing real-time tracking of every aspect of the package and its journey to its final destination. The transparent tracking system is attractive for both the sender and receiver and is done simply by entering the tracking number provided online. Detailed information can be accessed instantly from laptop, tablet or mobile devices, or retrieved by speaking to a FedEx employee directly via telephone. Notifications are also sent by email. This shipment tracking tool is available for any kind of package sent via FedEx’s couriers, however small or large, and provides precise time and location information for absolute accuracy and peace of mind for both parties. Advance tracking is available for commercial customers that are sending multiple shipments. For shipments that are being sent overseas, FedEx’s tracking system enables the sender and receiver to receive detailed information regarding its clearance status and any complications that may cause or contribute to delays in delivery. Notification of clearance confirmation is available. FedEx provide varying levels of security depending on what kind of shipment is being sent and have the resources to cater for all safety transportation needs, with tailored services available for individual businesses and commercial customers that specifically meet exact requirements for particularly high value, fragile or high risk shipments or cargos. This guarantees maximum security and safety from collection to delivery and eliminates any chances of damage, interference or mishap during transit. In addition to these services provided at extra cost, there are standard secure features which are standard practice across FedEx and should be assumed as included with all its services. Secure tracking, background checks on all of its drivers and staff, shipment monitoring and in-house security are amongst these. Enhanced security options include security escorts, monitoring by FedEx security professionals and vehicles with alert buttons. FedEx puts a strong focus on safety in the workplace and has many practices in place to help ensure safety and achieve a high level of well-being for employees. Its incorporation of ever developing rigorous safety procedures and training on every level of the company and its operations is intended to strengthen the brand as a whole and in turn improve the quality and reliability of services provided to its customers. One of the main aspects of its safety policies is the implementation of defensive driving courses which are intended to help prevent its drivers having accidents or finding themselves in risky situations that could compromise themselves and their shipments while transporting goods. Advertised shipping rates are rarely applicable to long term businesses and commercial customers who regularly use FedEx. Such customers can enrol in savings programs that enable them to receive considerable discounts on Express and Freight services. Other commercial benefits include a money-back guarantee for packages that are not delivered on time or as promised, drop-off locations, a pick up service and the option to send shipments worldwide to 220 countries. 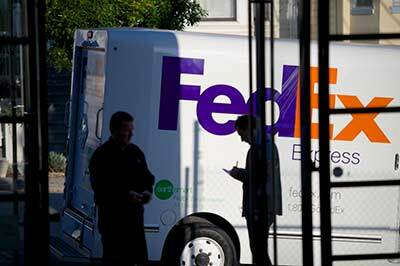 The FedEx brand is a continually evolving entity with strong goals regarding progress, growth and maintenance. It is one of the most forward thinking and technologically advanced transportation companies in the world and maintains its reputation by engaging in constant innovative practice. It is pro-active in becoming increasingly environmentally friendly and reducing its environmental impact, with high levels of recycling and utilisation of renewable energy sources, It also generates solar electricity and is gradually introducing electric and hybrid-electric fleets. In economical terms, its revenue is increasing and looks set to continue to rise, showcasing security and stability for stakeholders, customers and employees alike. Hey, just use the tracking function, that is how it works. When I can get my package? ( 78659958884 ), it suppose to arrived today! 16 days strolling, when it arrives in miami? 786424342589. My result says in transit. How does that help me track it. can i change the addres destination? When my package arrived at destination? thank you. When should i expect my parcel? Can a Visa document be seized in a fedex package by customs/immigration?….. I NEED THIS TRACKING NUMBER: 00785093719323 TODAY DECEMBER 27 OR TOMORROW BEFORE 8.30 A.M. AS ILEAVE THE COUNTRY AND THE PROVIDER TOLD ME THAT IT LASTED WITH YOU FROM 4 TO 7 DAYS OF DELIVERY, BUT I KNOW THEY ARE VERY BUSY IF I ARRIVE AT THE HOTEL SUPER 8, 1815 W VINE ST KASIMMEME THEN YOU WOULD HAVE TO SEND IT TO MY ADDRESS CARLOS ALBERTO SALAZAR 2053 N.W. 79TH AVE SJO D279S DORAL, FL 33198-1637 UNITED STATES. SINCE IT WAS A CHISTMAS GIFT. THANK YOU VERY MUCH FOR YOUR ATTENTION. CARLOS ALBERTO SALAZAR. Where is Luftfachtbrief wurde erstellt? There, when I searched for this number 1456902672 at FedEx official site does not give me any data about your site, but Al gives me the data but not sufficient, and as soon as she is in wait, how do I review the FedEx company in this matter ?? When should I receive my parcel…. Trying to track down a package that says it was delivered but then when you click for tracking it says it is in transit. This was ordered in November. Fedex send me a message to say that my package should be delivered today at 12am. 4 hours later, there is nothing at my door, what should I do? Can be the snow the problem? What should I do if I wasn’t home to accept a package from FedEx? When should I expect my FedEx parcel? Estimations are hard to make, so we don’t do that.